I made this just before Brickfair 2013. 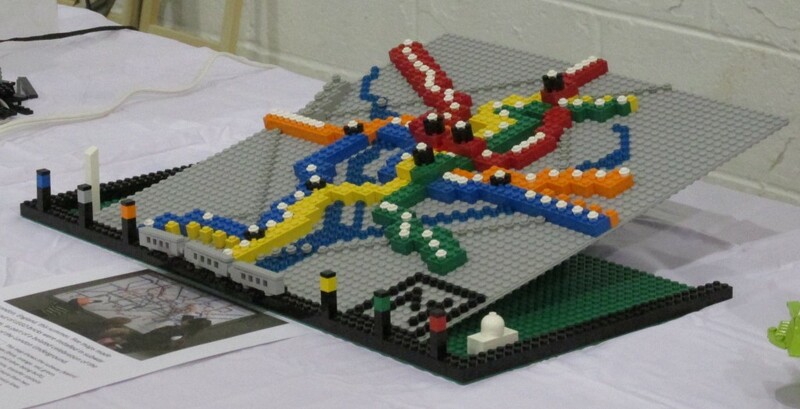 It’s a mosaic-like map of the Washington, D.C., Metro system. 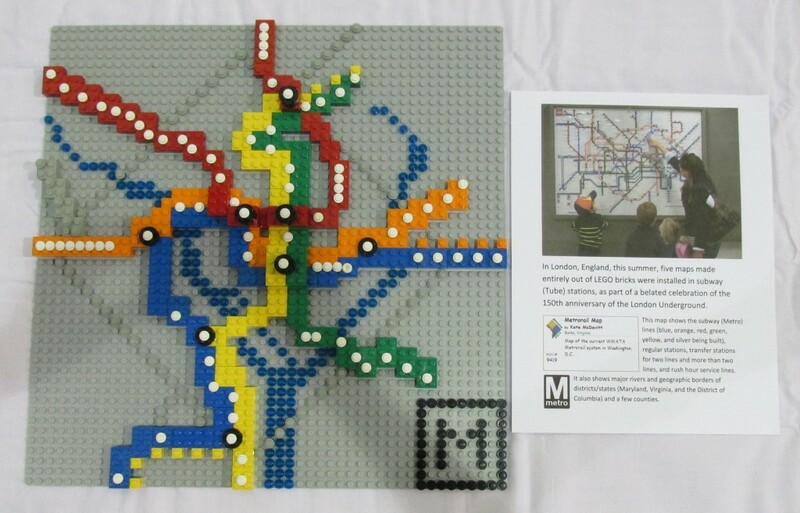 It was inspired by the LEGO map in London, England, of their Tube system. I also added a stand that has posts like the ones that indicate our colored lines, a tiny little train with three cars, and the national mall’s two monuments of the Washington Memorial and the Capitol Building.